The Good Dinosaur Cast Revealed, Features Anna Paquin, Steve Zahn | Nerd Much? Disney-Pixar has finally revealed the cast for its upcoming animated movie, The Good Dinosaur. The Good Dinosaur cast includes Raymond Ochoa voicing the lead character (Arlo), as well as Steve Zahn (Sahara, Saving Silverman) as a pterodactyl named Thunderclap, Anna Paquin (True Blood, X-Men) as a T-Rex named Ramsey, and A.J. Buckley (Justified) as another T-Rex named Nash. The voice cast also includes Sam Elliot from Justified as another T-Rex named Butch, Frances McDormand (Fargo) as Arlo’s mother, Marcus Scibner (Black-ish) as Arlo’s brother, and Jack Bright (Monsters University) as the human companion we see in the promo images. Strangely enough, the originally announced cast included John Lithgow, Bill Hader, Neil Patrick Harris and Judy Greer, none of which are to be found in the new cast list. We’re curious to learn exactly what happened to the original cast, although it’s likely that when original director Bob Peterson was removed from the film, the new director Peter Sohn wanted to find his own cast. Of course, that’s just speculation, and we have no idea what we’re talking about. 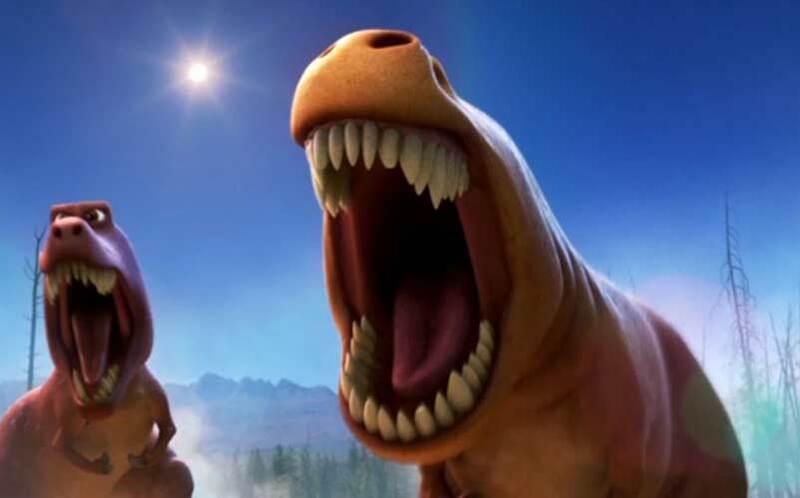 The Good Dinosaur release date has been set for November 25, 2015, but there are plenty of other animated movies on the way this year.